Sometimes, prescription drugs just aren’t the answer. They let people rely on a pill to fix their problem and then go down a path of unhealthy habits of sedentary living, skipping breakfast and snacking on Oreos. Case in point: Statin drugs are commonly used to keep the bad type of cholesterol (known as LDL cholesterol) manageable. Statin drugs inhibit a specific enzyme (called HMG-CoA reductase) which controls cholesterol production in the liver. Statins work to replace that enzyme, which then slows down the cholesterol production process. 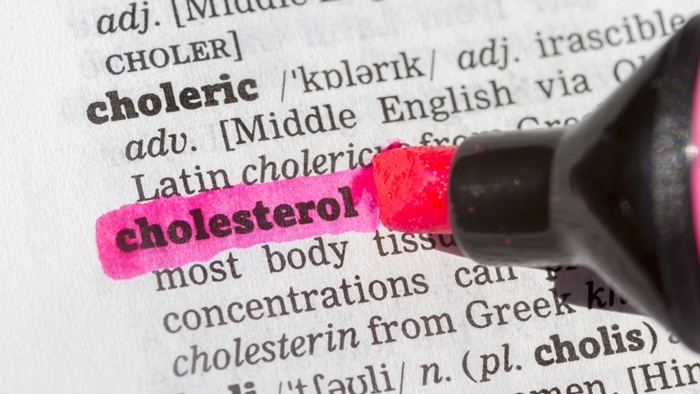 With cholesterol an issue for millions of Americans, the use of statin drugs is widespread. Doctors want the right fix, especially when high cholesterol is considered a serious problem; it comes with an increased risk of developing heart disease and stroke. Diet and lifestyle play an important role in whether or not you will develop cholesterol problems. If you are consuming too much fat, sugar, calories or fast food, watch out! And drinking too much alcohol and letting fitness go by the wayside can predispose you to high cholesterol as well. Double trouble. I take issue with the false sense of security people get from being on statin drugs. Some feel they have a license to be careless with their health. Unfortunately, this is where the problems really start. One study published in the Journal of the American Medical Association (JAMA) showed that patients who were prescribed statins had steadily increased their intake of calories by 10% and fat by 14% over the last 10 years compared to people who did not use the drugs. The average amount of weight gain experienced in the statin-users was between eight and 10 pounds. Health practitioners often warn patients about skimping on lifestyle changes and opting instead to take medications. Just because you take statins doesn’t mean that it is smart to overlook diet and exercise as the best ways to lower your cholesterol. The drugs don’t mean you can relax on your healthy habits simply because of the added reassurance of the meds. Data from national health surveys has found that the use of statins had increased from 7.5% in 1999 to a jaw-dropping 16.5% in 2010. So what does that tell you?! Part of the responsibility is on the patient for choosing medication over a lifestyle overhaul. But it’s also possible that physicians are contributing to the problem by shifting the focus from lifestyle changes and prevention to simply prescribing the medication and monitoring the patient on the statins. It’s easier to tell people to pop pills than outline (and enforce!) a proper diet and activity regime. In my opinion, people are far too reliant on these medications. People need to realize when it comes to cholesterol the culprit is lack of proper diet and exercise. Correcting your lifestyle in the long run is a much easier change than going on medication, but that involves being aware of your habits and having a genuine desire to change them. Foods are a great resource here: A bowl of oatmeal, a handful of walnuts or even a baked potato can do the trick. Simple tweaks to your diet—like these, along with exercise and other heart-healthy behaviors—go a long way in lowering your cholesterol. It’s true that while you are on statins you are protected from serious consequences. But it is never wise to justify poor health (and habits) by relying on medication. It is always easier to prevent a serious problem than it is to treat one after the fact. You need to change your outlook and take better control of your health! O’Riordan, M., “Off the Lifestyle Hook with Statins? Study Shows Weight Gain, More Calories Consumed,” Medscape website, April 24, 2014; http://www.medscape.com/viewarticle/824093?nlid=55669_1986&src=wnl_edit_medn_card&uac=5573DJ&spon=2#2. Sugiyama, T., et al., Different Time Trends of Caloric and Fat Between Stain Users and Nonusers Among US Adults,” JAMA Intern Med. 2014; doi:10.1001 jamainternmed.2014.1927.